(Natural News) Monsanto’s atrocious acts were bound to catch up with them some time — and it is beginning to look like that time has finally come. Recently revealed documents prove that Monsanto knowingly sold banned toxic chemicals for years after confirming their catastrophic risks to the environment and human health. Bill Sherman, the assistant attorney general for Washington state, reviewed documents from The Poison Papers, uncovering yet another one of Monsanto’s wicked schemes of mass deception. PCBs, or polychlorinated biphenyls, are highly toxic compounds known to cause a litany of health problems — and they’re prone to persisting and accumulating in the environment long-term. And even when Monsanto learned of these glaring issues, they continued to produce and sell toxic PCB products. Now Assistant Attorney General Sherman is looking to hold them accountable. Sherman is quoted as saying that the Poison Papers have provided previously unknown “damning evidence” of the company’s wrongdoing. The state of Washington is now suing Monsanto, along with several cities from along the Pacific coast. 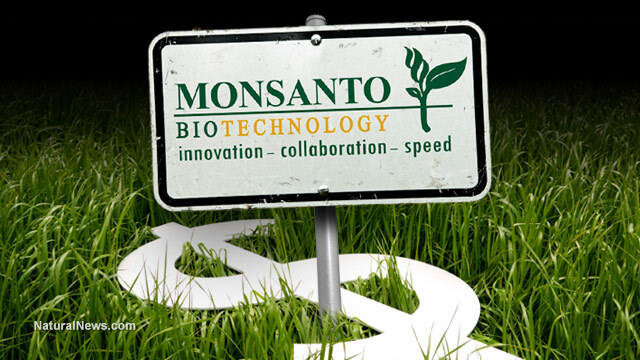 Monsanto first began mass-producing PCBs in 1935. The chemicals were used for a variety of industrial uses, including as coolants and lubricants for heavy equipment, like transformers. The company reportedly stopped producing PCBs on their own in 1977 — two years ahead of national bans by the U.S. and other countries. In 1979, PCBs were widely banned due to overwhelming evidence of harm to both humans and the environment. Now, Sherman’s digging has revealed a sordid truth: Monsanto had confirmed the toxic effects of PCBs in 1969. A pollution abatement plan from the company’s archive describes the hazards of PCBs as virtually unquestionable. Three modes of recourse were described, each with its own “profit and liability” flow chart. The options were: “Do nothing”, “discontinue manufacture of all PCBs” or “respond responsibly,” which would have meant fessing up to environmental contamination and pursuing corrective action. You can guess which option they chose. “At the same time that Monsanto was telling the public that that PCBs were safe, they were literally graphing their potential legal liability against the lost profits and public image boost that might accompany being responsible and honest. At the end of the day, Monsanto went for the profits instead of for public health and environmental safety,” Sherman contended. In September 1969, another memo reveals that Monsanto was responsible for PCBs spilling into the Gulf Coast, Great Lakes and San Francisco Bay areas — and again decided the best course of action was to do nothing and “let govt prove its case on a case by case basis.” Another memo from November 1969 shows that Monsanto scientists had determined PCBs were “highly toxic” to reproductive health in birds. Will Monsanto be held accountable? In spite of all this, Monsanto continued to publicly deny the toxicity of PCBs for years. But with the evidence in hand, perhaps states and cities will finally be able to hold Monsanto accountable for their unsavory business practices. In addition to the lawsuit from Washington state, the “world’s most evil company” is also being sued by city authorities in Seattle, Spokane, Long Beach, Portland, San Diego, San Jose, Oakland and Berkeley, for PCB contamination. Now that the company is set to merge, Bayer (another evil company) might be on the hook for their misdeeds, too. Monsanto can try to change their name, but they can’t outrun their past. Read more stories about evil corporate greed and how it may be effecting your health at Monsanto.news.